I cannot believe the number of “winning” player evaluations I have conducted this summer. Most of them concerned higher limit blackjack players, but I still had a couple higher limit baccarat players, and one Pai Gow tiles evaluation. Usually the evaluations only confirm what the surveillance department had already concluded; the player in question was experiencing an unusual run of luck, and was no long-term threat to the casino. However, every once and a while I do come upon winning player or players who are winning because they were able to use advantage play techniques (legal but undesirable), or illegal techniques against the house to win that money. I found just that sort of problem while conducting my Pai Gow tiles evaluation. After reviewing all information provided along with several hours of video imaging, I was able to establish that a group of players were actually passing around hand tile information so the group could determine the value of the four tiles in the hand controlled by the dealer. Because of this evaluation, the casino could take the proper steps to neutralize this attack when the group returned to the casino. 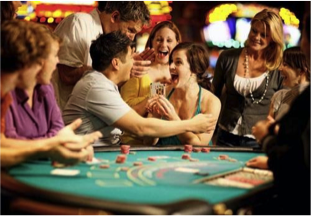 Table Game Evaluations – The evaluation of your table game operation to determine game protection weaknesses, and opportunities to change specific procedures in order to increase table game revenue potential. I’m surprised more casino executives do not take advantage of this service. The return on investment is outstanding if the customer accepts and implements my suggested procedural changes. Game Protection Seminars – These seminars are presented to individuals who are responsible for the supervision and protection of table games; i.e., floor supervisors, dual-rates, pit and shift managers, table game managers, surveillance operators and supervisors, gaming investigators, and upper level casino management. The approximate 6+ hours of material covers card counting blackjack and side bets, baccarat side bets, hole-card play in blackjack and alternative games, key-card location play, advantage play and cheating in roulette, cheating in craps, and cheating in blackjack, baccarat, and alternative games. I try to tailor the material specifically for your table game operation, but will show you situations that could result in future problems. 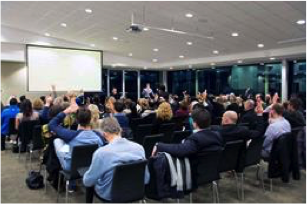 Table Game Management Seminars – I offer a list of topics that I can mix-and-match for your operational need. 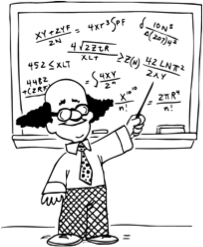 The most asked for (and important) areas are, the cost of table game promotions, the mechanics that move hold percentage, managing effective side bets in blackjack, understanding game win-loss volatility and loss risk ranges, understanding the effect of time and motion on table game revenue, and the effective strategies for managing table game limits (both minimum and maximum). This is a great session if your organization has some up and coming table game management talent that need to learn the finer points of managing table games. Remember, I do conduct a lot of individual winning player reviews. All I need is for the casino management/surveillance to send me documentation of the suspected person’s game play, and a video sample of their play. Some casinos are not allowed by regulations to send anyone video segments. In these cases, I can conduct reviews and evaluations from detailed player tracking sheets. If you have any questions about winning player reviews, please feel free to pick up the phone and call me (702-423-5734). I’m more than happy to answer questions about conducting these evaluations for casinos, regulators, or prosecutors looking to build a case against someone violating gaming laws. If you have a question regarding any of the above services (or anything about table game management or protection), please feel free to contact me at wzender@aol.com, or by phone at 702-423-5734. I look forward to speaking with you. In this eBlast I will be examining what I believe is the most important of the three tools for detecting card counting. The first two tools were learning and recalling basic strategy perfectly, and understanding the minimum bet spread the professional card counter needs to gain a long-term profit from counting. The third tool involves identifying a correlation between the suspected counter’s bet sizes with that of the person’s hand playing decisions (deviations from basic strategy). The professional level counter will use basic strategy on 4 out of every 5 hands he plays. However, approximately 1 out of 5 hands, the counter will deviate from basic strategy in order to use the remaining card composition in the deck to the counter’s advantage. Note: The counter gains approximately 75% of his advantage from betting more money (a lot more) when the composition of the cards in the deck/shoe are in his favor; however approximately 25% of that gain comes from altering his hand strategy play to the count. Following is how you can use a wager-hand strategy correlation to increase card counter detection from the casino floor significantly. Aggressive doubles and splits: 11 v. A, 9 v. 2, 10 v. T, 10 v. A, TT v. 5 & 6 (split). 12 v. 2 & 3. Passive double downs (hitting instead): 11 v. A, 11 v. 10, 9 v. 3, and 10 vs. 9. Note: These above hand strategy deviations from basic strategy are based on Donald Schlesinger’s “illustrious 18”, the eighteen most important hand deviation decisions a professional card counter can make when counting cards. Several of the above hand decisions noted DO follow basic strategy; they are noted only to illustrate the difference between the two situations, i.e., “larger” bet versus “smaller” bet situations. As important as these above deviations are to the professional level card counter, the most important…what I call the “million dollar” indicator is…INSURANCE! If your floor supervisor observes a blackjack player wager a significant amount of money, and this player is seen wagering on insurance when holding a 12 through 16, there is a better than average chance the player is counting cards (or spying the dealer’s hole card). An “insurance bet” placed while holding a hand of 12 through 16 by a player wagering a significant amount of money is the MOST IMPORTANT indicator that a player might be a card counting threat. If you teach your floor supervisors to look for this one situation, you will greatly increase you professional card counter (and hole-card advantage player) detection. Have the supervisors (and surveillance operators) know basic strategy well enough so that they can instantly tell whether or not a BJ player is following basic strategy. Be sure all floor supervisors know the minimum required bet spread needed by a professional level card counter in which to gain a long-term advantage over the chosen blackjack game (based on game rules and deck penetration). Have the floor supervisors look for situations where blackjack players wagering a significant amount of money take insurance with a hand of 12 through 16. Based on these three tools, be sure the floor supervisor is given directions as to who to notify when a “positive” card counting situation occurs. One of the biggest problems in casino gaming is the failure to communicate situations to the right person who can help solve the problem. Remember, you detect problems from the floor, but confirm the problem from surveillance. In next month’s eBlast, we will look at methods surveillance can use to confirm a person is a professional level card counter. In a couple of weeks I will be presenting at the UNR Extended Studies Gaming program regarding table games management. I will be covering the topics of Casino Mathematics and Table Game Management on September 20th and 21st. The mathematics portion of this course will dive into the understanding of gambling probabilities, along with converting probabilities into gambling odds. Once odds have been established, we can convert the difference between true odds and payoff odds into a wager’s mathematical house advantage. As far as I’m concerned, house advantage is the money tool for operating table games; however we do examine hold percentage and the factors that contribute to hold percentages move up and (Yuk) down. On the second day, I use the mechanics provided the first day to support theories that will result in increased table game revenue. I know the staff at UNR’s Extended Studies program will accommodate any last minute requests. Please contact them at gaming@unr.edu, or call 1-800-233-8928. You can also visit the website for more information about gaming management education. It has become a common attack for cheaters to attempt to capture shuffled card sequencing on high limit games. 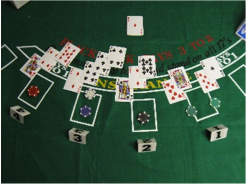 The captured sequences are used to learn winning hands occurrence before making wagers on the game. The primary game of attack is baccarat, but this techniques has also been used in higher limit blackjack. The game of Pai Gow Poker is played with seven cards placed into two separate combinations. What if a player was able to place a large wager on one hand, but have the ability to choose from two separate seven-card hands? In this segment the participants learn how a husband and wife team were able to switch hands without the dealer, floor supervisor, or the designated player questioning their actions. Ever have an unusual cluster of “Bad Beat” jackpots occur over a short period of time? Was it a statistical anomaly or was it created by cheaters working with the dealer. Learn how a group of cheaters would set up a “Bad Beat” cooler deck, and what your surveillance personnel need to look for specifically. What would happen if a group of Pai Gow players shared their tile information with each other? Do you know what to look for? Learn the primary indicators of a player collusion scam in Pai Gow tiles, and learn what you can do to prevent them from taking advantage of your Pai Gow customers. I’m not sure whether the presentation will be held in the morning or afternoon session, but I will be sure to inform everyone in next month’s eBlast. I believe you have to be a member of the CGA in order to attend. For more information please contact California Gaming Association, Joe Patterson, Executive Director, (916) 297-4822, www.californiagamingassociation.org/. Mechanics that drives hold percentage up (and down). Determine the best metrics to use in player tracking systems. What is a Rolling Chip Program? The conference will be held at the Paris Resort in Las Vegas, November 14th through 16th. For more information please go to their website www.tablegamesconf.com/ . I hope to see you in Las Vegas in November. If someone needs me to conduct a Table Games Evaluation or a Game Protection Seminar the second week of this month (September), let me know ASAP and I can still fit you in. Right now my schedule is open for the last week of September, a week in October, and two weeks in November. If you have any questions, let me know wzender@aol.com. Please let me know if I can provide one of my services for your organization. I’m always available to answer your questions. If you have any questions on gaming; don’t hesitate in contacting me through email. I answer close to a half dozen email on gaming every day wzender@aol.com. Previous PostUnderstanding Blackjack Bet Spread RequirementsNext PostHow Casinos can be Sure a Person is Counting?